Today, I finished reading a book called The Fault in Our Stars by John Green. I absolutely loved it. I'll write a book club post about it very soon. 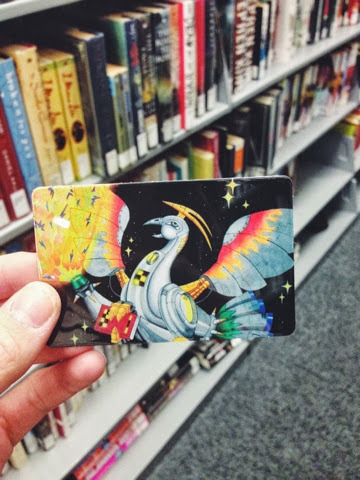 Also, I got a library card! I haven't checked out a book from the library in years. I can't even remember the last time I checked out a book. It's so exciting to have a library card again and to be able check out books. That used to be one of my favorite things to do when I was younger. It turns out, it's still one of my favorite things. I can't wait to start spending more time at the library. Have you checked out books out recently? What do you recommend?